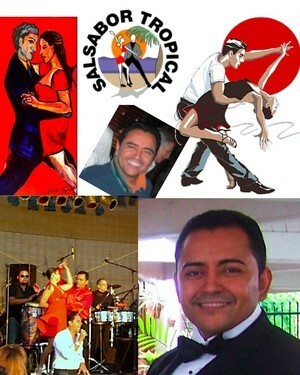 Tony Duarte is the founder and director of Salsabor Tropical, South Florida’s premier Dance School specializing in Salsa “on 2” aka Mambo New York / Puerto Rican style Salsa, Cha-Cha, and all types of social and ballroom dances. Tony takes pride in being one of Florida’s best Salsa dance instructors, always striving to pass his knowledge of many years of training and teaching on to others. Friday Latin Nights: Every Friday, Tony offers Salsa “on 2” and Bachata lessons at Congas Club in Fort Lauderdale. So Tony, how would you describe yourself? I’m very low key. I’m kind and sometimes quiet, but always fun when dancing. I’m very detailed and technique-oriented when I teach so my students can learn properly. I’m a dancer who’s performed countless times, a choreographer who’s orchestrated many events (including routines for professional and theme shows), and an instructor—teaching is what I do and what I love to do, each and every day. Tell us about the styles of dances you teach, particularly Salsa. I teach all types of dances but I concentrate on Salsa and Latin dancing because that’s what you’ll find at most night clubs. I always loved Salsa but really started to be passionate about it when I found out that there were different styles of interpretation of “Salsa” dance, which I think is something unique. I thank God I was able to learn all these styles—I can dance with anyone, any where in the world. I was trained by Bobby Modeiros, Betty Silvers, and Dietmar Thiele. Loads of training, hard working, and more training—but also lots of fun. Tell us about your activities. I have classes for all levels. In group classes, we teach Salsa (Puerto Rican style), Bachata, and Cha-Cha. During private lessons, we teach any type of social dancing. Schedules are available online. What do you think makes a good dancing partner? Someone who enjoys the music, has fun while dancing, and smiles as you dance with them. Of course, lead/follow and rhythm and time are important too, because without these components you cannot dance. My students! I’ve been teaching for more than 20 years, and every day I learn something new from my students, which makes me grow not only as an instructor/teacher but also as a person. I’m still learning and growing, because in dancing, you never stop learning. See you all this Friday at Congas!